Are you interested in how you can increase the joy and happiness in your life? Are you currently looking for a way to change your life from within? Are you wondering why you mind continues to change as you meet new people. In this audiobook, it will provide all that and more. Empath awareness and the understanding of what an Empath is. Learn how to enhance your life, develop your psychic abilities and your intuition as an Empath. Aim to discover your hidden potential within that you have at all times. 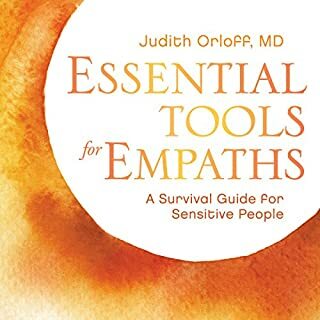 Excellent book for understanding types of empaths. Are you looking to improve your empathic abilities, overcome your fears, and develop your gift? If you answered "Yes" to any of those questions, then you need to be listening to this audiobook. Empathy, in its most basic form, is the ability to feel the emotions and energy of not only the people around you but the world around you as well. It is difficult to adequately describe what empaths really are. Some work as counselors, able to read the emotions of the distraught and vulnerable. Many are healers, sometimes feeling the echo of pain before the patient can even begin to speak. Empathy is a sixth sense of sorts; it’s an extra layer of skin for some people, with different textures or auras depending on that individual's psyche. For others, it’s emotions that just pop or slide into their mind when someone walks in the room. While the way the gift manifests is going to be different for every person, one thing that remains constant is that those with these abilities came by them naturally and have the ability to improve upon them with practice. 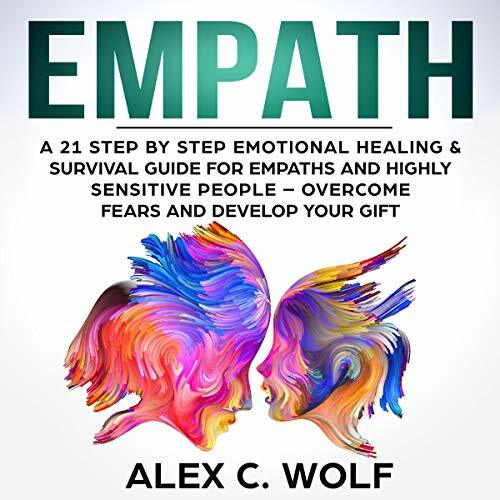 If you are looking to improve your empathic abilities, then Empath: A 21 Step by Step Emotional Healing & Survival Guide for Empaths and Highly Sensitive People - Overcome Fears and Develop Your Gift is the audiobook for which you have been waiting. 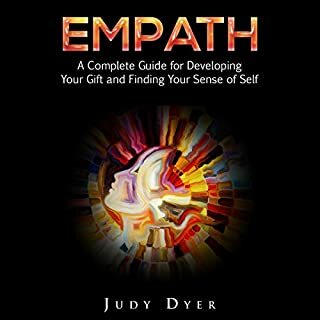 About the famous empaths who have come before you, the various ways your gifts can manifest, and how to manage your gifts effectively. About the dangers that empathy can lead to as well as exercises to try to ensure your empathic abilities are as strong as they can possibly be. So, what are you waiting for? 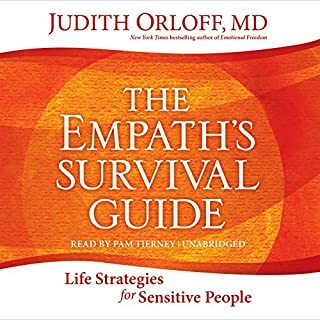 Being empathic is a gift, don’t squander it; make the most of it by listening to this audiobook today! I have been a full blown empath all my life and only now, after listening to her book, am I becoming comfortable with the concept. I considered being an empath a major curse all my life, until now. I am finally able to verbalize what is going on with me and have the right words to say when I had enough. This audio book changed the way I viewed. This audio book changed the way I viewed every aspect of my life. It rang true on so many different fronts, as well as helped me to better understand each and every moment in which something MORE was truly happening. although it wasn't exactly what I was looking for, there is a lot of information and many practical techniques. This book is for meditating. The 21 steps are not practical guidelines for living as an empath. This book is a great book offering guidance. This book is a great book offering guidance and coping skills. The author is understanding, who offers much insight and good advice. It is a good book to assist you in surviving life. My sister bought this audio book for me. My sister bought this audio book for me and I can't be without it. I was like a ship without an anchor before this book. Now, I feel like I can safely more myself when it is critically needed. This is a must have audio book for anyone. This is a must have audio book for anyone in the health care professions who give of themselves to help others. Loved the audio book! Explains a lot about what being an Empath is. Helpful tips on how to live, work and love as an Empath. I refer to it a lot! I wanted to thank you for your insight on empaths. I wanted to thank you for your insight on empaths. 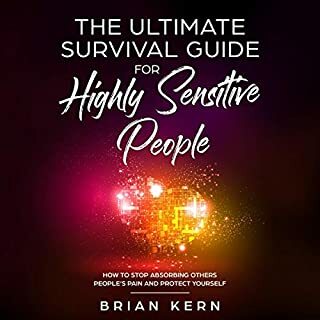 Your audio book helped me understand challenges I’ve experienced my whole life which I thought was a curse, being over sensitive. Thank you for helping me feel not alone. This audio book is filled with one insightful piece of information after another. It explains emotions and behaviors in an easy-to-understand manner. I shook my head in "this is me" agreement throughout many of the chapters. A great one. This is the true guide if you are an empath. This is the true guide if you are an empath or know someone who is. This will definitely give you insight to an empath's world. I am grateful for you and your book it. I am grateful for you and your book it validate all I am! I have been a nurse over 30 years and my life has been colorful and challenging. Explains in detail what an empathy is how to live. Explains in detail what an empathy is how to live with it and signs you are indeed an empath. This is an amazing book! It has really illuminated some things going on with my 7 year old and my husband. Not only does He go into the science but she also talks about meditation and other great tools for dealing with others' energy. This audio book helped me re-evaluate my life. This audio book helped me re-evaluate my life in a positive way. I highly recommend for people looking for a change. This is an amazing audio book for all. 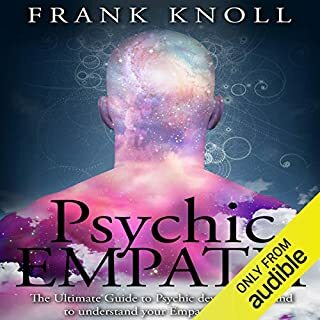 This is an amazing audio book for all who are or think they may be an empath, or have an empath in their lives. The most helpful, amazing audio book. The most helpful, amazing audio book that I have ever listened to. Have even bought the kindle version for a few of my friends. Helped me understand myself more than anything I’ve ever listened to. Life changing skills learned here! This material has been my saving grace in learning how to cope in this world. I can't say enough of how helpful he has been for me. Life changing skills learned here! So glad my sister recommended this book to me. Helped me to understand my being an empath. 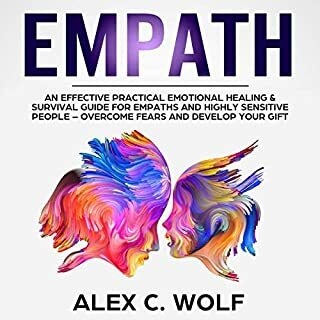 Helped me to understand my being an empath and helped me too manage things better.